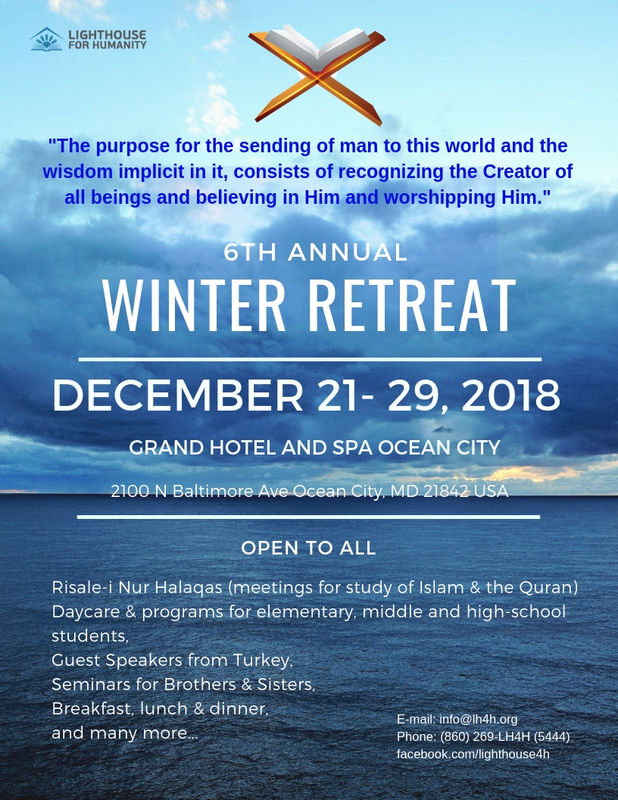 InshAllah, we will have our 6th Annual Retreat in Grand Hotel and Spa, Ocean City, MD. The event starts on Dec 21st Friday and ends on Dec 29th Saturday before 11 am. You are welcome to join for the entire period, or certain dates that you choose. Check-in time is after 4:00 p.m. Guests arriving before 4:00 p.m. will be accommodated as rooms become available. Check out time is before 11:00 a.m. The rate is $60.00 per night per guest room. Rates are inclusive of 10.5% tax. You will need to pay directly to the hotel. All rooms are nonsmoking. Each individual will be responsible for making his/her own reservation with the hotel. Callers should identify themselves as being part of our group to receive the group rate. Guest can call 1-800-447-6779 or 410-289-6191 to make their group reservation. The group code for this event is LHFH18. Cut-Off Date on 12/19/2018 they will release any remaining rooms in our block for sale to the general public. Any reservation requests made after this date will be subject to room and rate availability. As per the agreement with the hotel, to get the current room rate, conference rooms and other concessions, we need to exceed a minimum number of room nights. If we do not, the organization will be charged extra. Because of that, please make sure to book through the hotel. Please keep in mind that the bookings through other websites (e.g. Expedia, Orbitz) will not be counted towards the organization’s room nights and might result in additional charges to our organization. 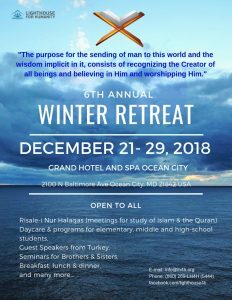 Breakfast, lunch, and dinner will be served by the retreat organization. Childcare, Boys’ Classes and Girls’ Classes will also be available. A nominal fee will be charged to cover the food and instructor expenses for the above. $15 per day per person. Flat rate of $100 per person for whole program. The payment of the fee will be onsite. An additional fee might be added for credit card payments to cover PayPal fees. Please bring CASH for these expenses to avoid any additional fees.